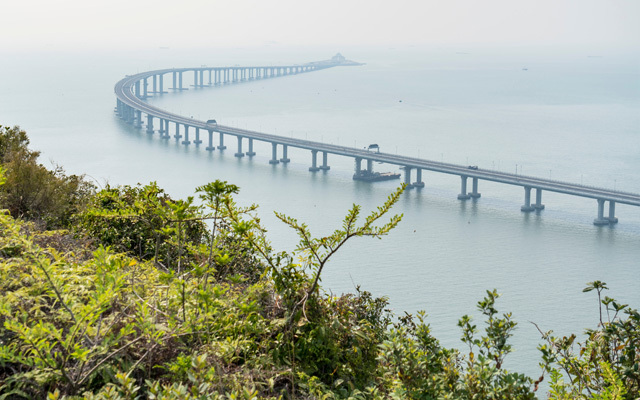 More visitors from mainland China are travelling to Hong Kong via coach or train in 2018, on the back of growing land connections thanks to the completion of the Hong Kong-Zhuhai-Macau Bridge and the Guangzhou-Shenzhen-Hong Kong Express Rail Link, Nielsen’s Mainland Tourist Study revealed. The number of mainland tourists who visited Hong Kong in November 2018 surpassed the same period in 2017 with a 26% leap, according to Hong Kong’s Immigration Department – Visitor Arrival Statistics November 2018. With the ongoing initiatives in the Greater Bay Area and the convenience brought by the new gateway access to Hong Kong, the visitor influx momentum is expected to continue and bring new market potentials for tourism-related industries, especially retail. In addition, the survey found that spending has increased across all sectors, with each traveller spending HK$21,000 (US$2,678) per trip, a 3% growth versus 2017. Shopping leads as the highest spend sector (45%), while accommodation, dining and entertainment each contribute evenly on their overall expenses. Overall, spending across all four sectors recorded positive uplifts. Though spending power is increasing year-on-year, the study found that travel appetite to Hong Kong is facing challenges in that products are perceived to be similar with other mainland cities, hence it is key that Hong Kong steer its focus beyond product offering to service, advised the Nielsen study. “Transforming each trip from a shopping mission to an inspiring travel experience can drive repeat visitation and such experience can best be offered through the brick and mortar channel in Hong Kong,” said Michael Lee, managing director of Nielsen Hong Kong and Macau. “Unlike other destinations with abundant cultural attractions, developing an inspired travel experience in Hong Kong would require a seamless, cross-industries (shopping, accommodation, food and entertainment) collaboration. This helps to turn our cultural similarities with Mainland visitors to an advantage for making the experiential retail a true success,” Lee suggested. The study also reported that almost 30% of mainland visitors make online purchases in overseas e-commerce platforms. Cross-border online shopping has started showing its impact on mainland visitors’ shopping behaviour during their trips to Hong Kong, with more claiming spending in the brick and mortars shop during their trip would be lowered as a product is available online. “An integrated omni-channel strategy can help Hong Kong retailers to address the change of traveller purchase behaviour as they convert part of their purchase to online,” said Lee.